Thanks to Anna DeBattiste, I read an article with an interesting proposition the other day: "If You Don't Like Your Future, Rewrite Your Past," by Rosabeth Moss Kanter on the Harvard Business Review's blog. Her premise was simple, "Sometimes strategic change just means taking something from the periphery — an anomaly, a demonstration, a small innovation — and redefining it as central." It reminded me of something I learned a long time ago… periodically your brand needs not so much an overhaul, as some strategic tweaking. Often the notion of a re-branding effort falls under the heading of a dramatic change like a new name, logo update, or new business venture, but usually all it takes is a fresh viewpoint; a new way of telling your story. Kanter's article used an excellent example of a first rate re-branding effort by IBM. Facing a lagging economy and tougher competition for computer hardware sales, they went back to the basics. Early in my business career I learned that you never just sell features such as: faster, lighter, stronger; instead you sell the benefits of your work, how your products and services effect your customer's lives. That's because unless you're selling a race car, faster is not all that important. For far too long the computer industry was all about twiddling bits: more memory, faster CPU's, higher throughput, all the basic features that combined add up to an end result. IBM finally got it and they re-branded themselves as a solutions provider, rather than a computer hardware manufacturer, and that propelled them far into the future. They had been selling software with their hardware for years, so they didn't necessarily change their business model, they simply changed their audience's perspective, and as a result projected real value in their message resulting in increased sales. Your audience needs to get it. Fundraising, like selling computerized solutions, is about relationships. Building this deeper commitment only comes about when your audience completely understands and is emotionally engaged in your mission. Sometimes that means turning your program on its ear, sometimes that means a subtle change. All too often we lose sight of what it really is that we are selling. 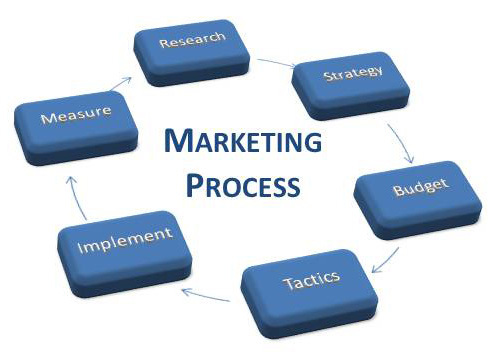 Relating to your audience is a continuous process. Over time your message can become muted and when you are too close to that message, it may become difficult for you to see that it's off center. 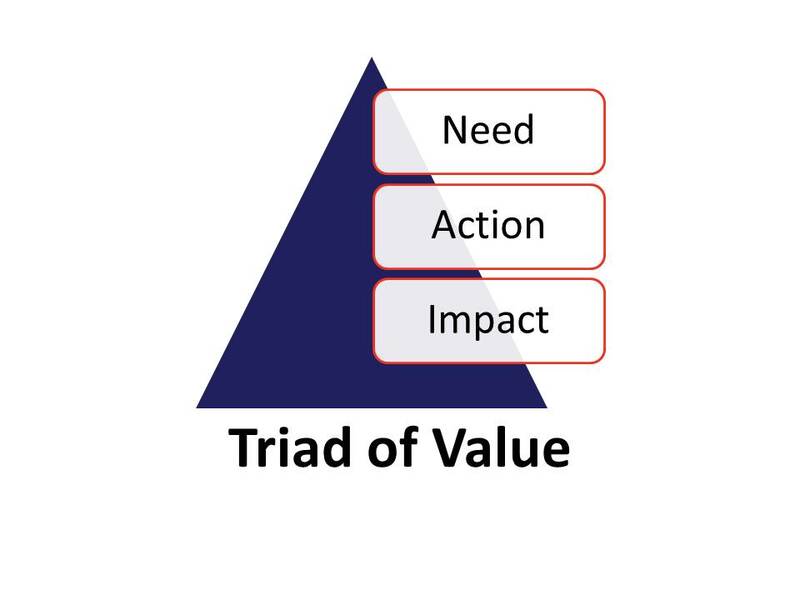 By employing the Triad of Value, and thinking about your marketing activities holistically, you increase the odds that your audience will appreciate your vision. I would challenge you to randomly check any unfamiliar organization's website and ask yourself the following: what do they do, why is it important, and why should I give them any money? My guess is you will come to the same conclusion that I often come to… I really don't know. If you are not careful, this can happen to you. By periodically revisiting your brand, case for funding, and other marketing efforts you can avoid brand burnout and keep your audience and community emotionally engaged.